That which is night to all beings is day for the sage. That which is day to all beings, is night for the sage. The awakened state of the Sage is but a dream to everyone else; what is real to them is the dream to the Sage. The awakened state reveals the Real. Our everyday sense of life and this world is the dream. The several verses leading up to this one have been teaching us how to attain this state that exposes the Real. Samyami – ‘having restraint’, from samyama, meaning ‘holding together, restraining, binding, tying up’. The root is yama, meaning ‘reined, curbed, bridled, restrained’. The Samyami is the Sage for whom something is being held together, restrained. What is restrained for him is his senses. You will recall that this is pratyahara, the state in which the senses become restrained, withdrawn from their objects. We are being reminded of this yet again, so reaching this state must be very important for revealing the Truth about how things really are. In Patanjali’s Yoga Sutras, the last three steps of yoga (union)—concentration (dharana), meditation (dhyana), and the equanimity of union (samadhi)—taken together as one state, is called samyama. 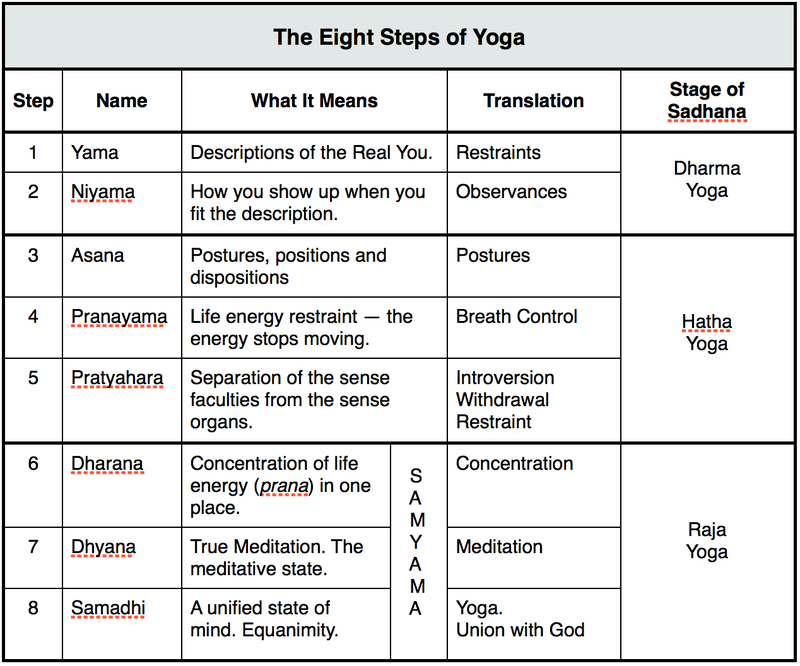 The state of samyama can only be reached through pratyahara (restraint of the senses), the fifth step of yoga, which is reached through the fourth step, pranayama (life-force restraint). This is a natural sequence of events that occurs as one advances, and describes the Samyami, the Sage, for whom life is but a dream. Like an ocean becoming filled with water yet remaining unmoved, one for whom all desires enter while remaining unmoved, attains peace. This is not the case for one who longs for his desires. But that person who remains indifferent to desires, acts desirelessly. Indifferent and non-doing, he attains peace. Just as an ocean remains unmoved when water enters it, one who remains unmoved as all desires enter him, attains serenity, but not one who yearns for the fulfillment of his desires. That person who remains indifferent to all desires, acts desirelessly. Disinterested, without the sense of doership, he attains serenity. Desires will continue to arise within us as the senses continue making contact with desirable objects, but by remaining indifferent to these desires we are not motivated to act on them. Thus we end-run our egos (‘I do’), and as ‘non-doers’ we find peace. ‘Indifference’ does not mean that we have no desires, but that we are not excited by them to the point that we mentally linger on them and become compelled to chase after them. Not being under the sway of the senses is consistent with the Truth that (1) we already have/are everything, and (2) what we really are does nothing (nirahańkāraḥ, ‘I am not the doer of actions’). Until this truth is realized within us, we cultivate its arrival by not allowing our desires to control us. Self-referencing: Note the difference between the object of desire and the desire itself. During your day, whenever you think of it, without self-criticism, try making this distinction when you are confronted by something you find desirable, by separating your perception of the object, from your perception of the desire for it. This simple exercise will help you to overcome the tyranny of the senses. Because you cannot be what you perceive, you will separate yourself both from the senses, and from desire itself. This is the culmination of what this chapter started with. It presents us with the concept of ‘ego’ as acting from the assumption that we are the ones doing things (ahamkara, ‘I do’), and that this assumption is incorrect. What we truly are already ‘has’ everything, is everything, is everywhere without limitation. Every desire we take so seriously that we feel compelled to act, ‘to do’ something, in order to obtain it, contradicts this truth. Conversely, in the state of samyama we are one with Truth. Fixed in this God-state, Arjuna, never again does one become confused or unconscious. Situated in it even at the hour of death, God-Nirvana is assured. God Nirvana is Divine Beatitude, the eternal happiness and highest bliss that is God. We are being assured of this. Even if we only reach this state of ‘disinterested non-doership’ at the last minute of the hour of death, we are assured Brahma-Nirvana. Seems like something worth cultivating, don’t you think? This chapter is called the Yoga of Knowledge and yet we have long been discussing action, so I think we can safely say that we have gained some knowledge about action. What we have learned about action in this chapter has to do with enlightenment and Self-realization. With this knowledge, we can understand it and cultivate it until it’s a done deal. In chapter three we will learn more about what action really is. Through shaktipat diksha and initiation into this meditation, you will put God in the driver’s seat. Surrender to the Absolute will do all the work for you, and Kundalini will awaken naturally and safely. Schedule a Shaktipat Intensive. If you can’t manage a Shaktipat Intensive in Phoenix, you will be glad to learn that Remote Shaktipat is back with a new program that provides as much information, teachings, and guidance as a person could ever want, need, or expect to get online. This link will take you to nine progressive courses in authentic meditation for both beginning and experienced meditators. I have designed these courses to provide basic essentials for anyone on any path (or no path), and so that the meditation that is most natural and comfortable for you becomes apparent to you. Mystical tidbit: Before reading this chapter and just finishing 66/68 thought gave rise to some of the content within chapter 69/72. There must be some invisible string of energy, makes sense now that I thought of it. I hold on to what I think is “True” and to that I have “Faith” in self.